Whether your team is motivated or not, an extra boost for morale really is a no-brainer in business. A summer party is not only a naturally helpful way to boost moods, but it's also a great opportunity to update the team on the business as a whole and remind them of its core values. Engaging employees on what's going on in different departments of the business will help them feel more invested in the bigger picture. Make your business a place where everyone wants to work. Word of mouth is hugely beneficial to most businesses and this should start with your employees. By creating a happy working environment, they are more likely to talk about work positively to friends and family or even share publicly on social media. By adding a summer party into the mix it gives your team the excuse to talk about how great the company is and get on board as a brand advocate. Not only does it look good to your customers but it's also a great trait to have when it comes to recruitment, as you're more likely to attract strong individuals if you have a good reputation. There is no better way to strengthen a team than by giving them a chance to get to know each other outside of the office. By strengthening internal relationships your team will naturally work better together and be more willing to help each other out. To get the best out of team-building choose an informal setting where your staff can be themselves and allow them to dress as they wish. Activities are a great way to engage people but it's always good to get a balance - remember not everyone may be up for adrenalin seeking so it is good to always bear in mind different personality types! 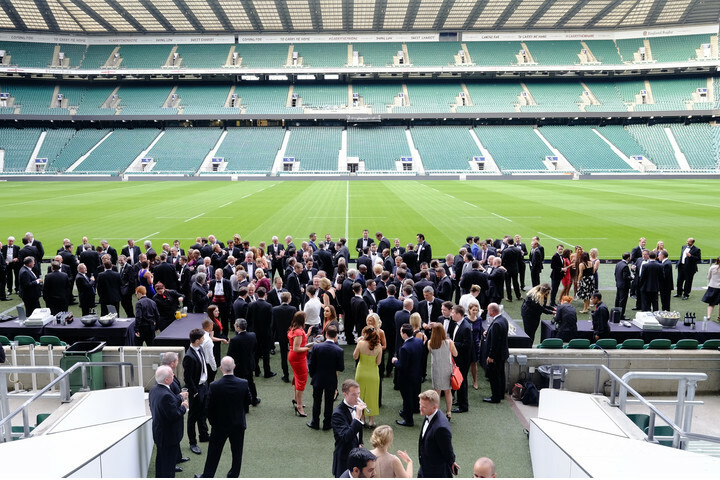 At Twickenham Stadium one of the most popular summer party choices is our pitch-side BBQ's. What better way to bond with others than over a juicy chargrilled burger or kale and quinoa pattie for the veggies. Many clients will enhance their event with team-building exercises such as the HAKA (a Maori ceremonial war dance involving chanting, an imitation of which is performed by New Zealand rugby teams before a match) or a GPS challenge that will have you taking pictures, cracking clues and recording videos. Do you have employees that go above and beyond? Internal awards schemes are a great way to recognise those particular employees and also motivate others for next time. You can keep it light-hearted and throw a couple of funny awards in such as 'one more thing' award' for the employee who is most likely to extend meetings or 'the champagne award' for the most sparkling office personality. 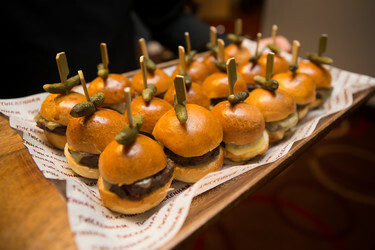 Integrating the awards into your summer party is an easy way to make this happen. At the stadium we've hosted many pitch-side awards. Our clients can make the most of the jumbo screens or LED ribbon screens in the stadium bowl, a brilliant way to announce winners. For most, a thank you goes a long way and a summer party is the perfect place to do this. Whether it's making a speech to the whole team or thanking people or departments individually, it's guaranteed to make your staff feel more valued. If your business has performed well over the last year, what better excuse than to have a party and celebrate success with the people who have helped to make that happen. At the end of the day, it's unlikely you could do it without them so let your employees benefit from the success by giving them an excuse to let their hair down and have some fun.